Square/round bale feeders have a full chassis construction of 6mm RHS and plate. They are available as a four hose machine or a two hose machine with diverter valve and feature polyurethane wheel guards, which tip up at second stage to prevent build up. 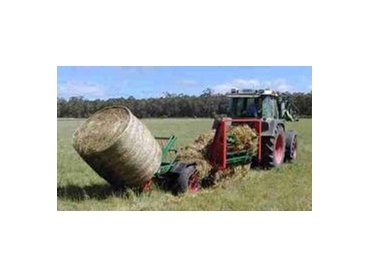 Square/round bale feeders have a chamber size, suitable for all standard hay and silage bales, both square and round. They feature high tensile spikes hinged at the base and an adjustable tow hitch to suit all tractors. In addition, a parking jack comes as standard and they have a recycle bin for disposal of used baling twine. Square/round bale feeders are available from Truline Post Drivers .